Many children are best able to express and challenge themselves through play. Games can encourage growth and teach valuable life skills to children of all ages. The right types of games are especially useful for kids with ADHD, executive functioning issues or similar learning challenges. For ADHD kids, outdoor, physically active games are great. But when weather or other circumstances prevent this, board games can be a good substitute. Games that are less complicated and low-tech can work often better for ADHD kids. High tech games can be over stimulating and can lead to frustration. 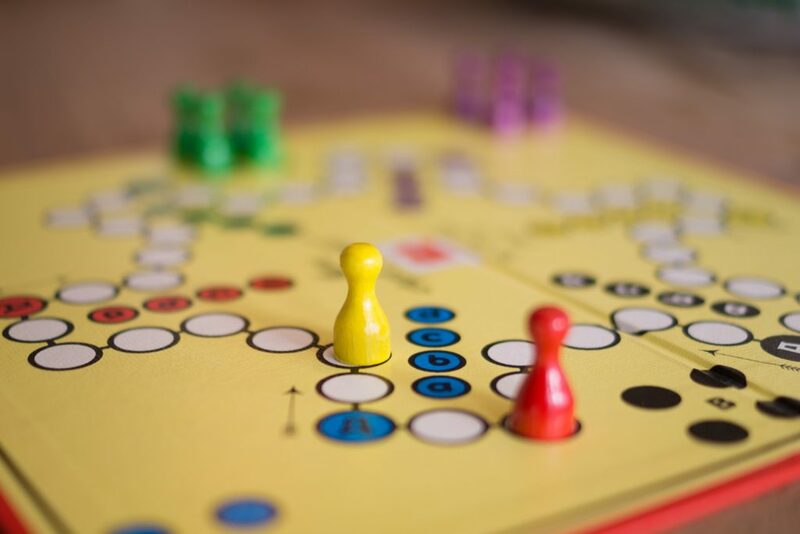 Additude Magazine recommends these classic board games to help ADHD kids’ develop and enhance their social and cognitive skills. The Memory Game (Milton Bradley): This game helps increase attention span and memory. Players must match their cards with others that are turned face down. If you turn a card face up and it doesn’t match your card, you have to put it back face down. The challenge for players is to remember the cards that have been put back down, so you can pair them with your cards when matches come up. Whoever gets the most matches wins. Chinese Checkers: Chinese Checkers is simple, yet it requires a bit of strategy. The challenge is to get your men from one end of the board to the other. Children will learn over time that if they problem solve and think ahead about where they are going, they can get there much more quickly. Chutes and Ladders (Milton Bradley): Chutes and Ladders is an excellent way to help kids build frustration tolerance and get over failures quickly. The objective is simple: players move along a trail toward the top of the board, climbing up ladders or sliding down chutes when you land on them. Frustration can result from landing on a chute and going from leader to loser instantly. Clue (Milton Bradley): Clue is the classic crime solving game where players determine who committed a crime through a process of elimination. Children must think about the information they have and don’t have. They must use that information to solve problems, rather than act on their feelings before thinking about the consequences. With Clue, children learn quickly that impulsive actions usually are counterproductive. The game also gets kids to practice organization and prioritization skills. The Impulse Control Game – As players make their way through a maze of roads on the game board, they face a series of questions: Should I take the short but hazardous route, or the safe but longer route? What might happen if I exceed the speed limit? Is the easy way the best way? Players must choose their routes carefully and anticipate the consequences of their actions. In this way, the game teaches kids the skills they need to manage impulsive behavior. Research is showing that board games can help kids develop the intellectual, cognitive and social skills they need to succeed in school and life. Used in conjunction with therapy or coaching, they can be an especially effective, simple and inexpensive way to help kids with executive functioning and learning issues improve in these areas. Is any board game helpful for executive functioning skills? Could you explain what that is? Waiting, taking turns, losing.